While opting for management degree, one should be informed about management specializations. Operations management is the management of a business process. It focuses on how resources can be effectively utilized through an organisation’s activities that in turn contribute to its output. A specialization in operations management is a standard major offered in most MBA programmes. Those who wish to make a career in this field can pursue specialized Master’s level courses in supply chain management, project management, among other areas. Professionals with a specialisation in this field have a number of career opportunities ranging from the supply chain track in the FMCG space to working with technology companies. An increasing number of e-tailers recruit professionals with a specialisation in operations supply chain. Increasingly, a number of private equity companies, too, look for operations expertise that helps them add value to their portfolio organisations before turning them around. The domains of supply chain analytics, demand planning, and category management for e-tailers, healthcare delivery, lean and six sigma are gaining popularity among professionals. Globally, operations management is also an active research area in most Bschools. Popular areas of research interest include supply chain management, revenue management, healthcare operations and sustainability A career in human resource management entails everything ranging from recruitment and superannuation to how companies can utilise their manpower in the most optimum way. Organizations are built with a host of professionals who bring about innovation, competitiveness, collaboration, and production for the company’s benefit. The job of a human resource manager (HRM) is to make sure that the company as well as the employee gain from such professional practice. Every organization needs an HR team and hence, the scope of this field is great worldwide. Students who wish to pursue a career in this area can either opt for an MBA in HRM or a Master’s in management with a specialisation in HRM. Those with the relevant qualification can work in positions such an HR manager with companies across industries. With a few years of experience, they can also establish their individual HR consultancy or pursue (freelance) advisory practice. Recent trends in this industry include the practice of maintaining balance score cards, carrying out human resource audits, quantification of soft skills, employee engagements, utilising behavioural Finance has moved on from focusing on traditional accounting to the finance related aspects of a business. Finance and control together account for financial services, internal au dits, and other functions in not just banks, but also other organisations. Both finance and non-finance industries need qualified finance professionals. As a result, a number of students take up this specialisation. Those who wish to make a career in this field can pursue courses in basic accounting, financial management, corporate finance to more detailed courses in strategic cost management, international banking, financial markets, risk management, etc. 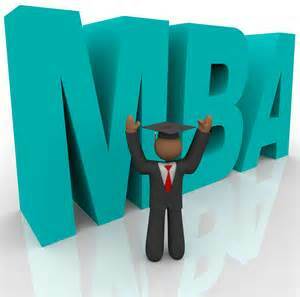 An MBA in finance is popular among most aspirants. No organisation can run without a finance department. Hence, the demand for professionals in this field is gaining momentum. Though the financial services industry will absorb more professionals in comparison to a manufacturing firm, the demand remains. Professionals in this field can work in the banking sector, equity markets, corporate and financial advisory firms, etc. They can also work as equity research analysts, corporate finance executives, cost management experts, derivatives traders, etc. It is important for experts in this field to upgrade their knowledge every three to eight years, so that they do not become redundant. With newer issues that require expert finance attention, the financial industry rediscovers and develops at regular intervals. Cost management has become an important area of finance and control. While the industry is usually stable, the demand for professionals may slightly fluctuate during a recession, but will never die down.